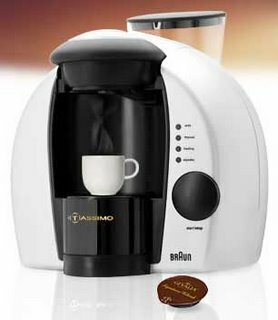 Tassimo discs refer to the single serve coffee cartridges that are designed for use in the Braun Tassimo TA 1400 Hot Beverage System. The T Discs, as they are also referred to, come in a large variety of flavors which explains why the TA 1400 is described as a Hot Beverage System and not just another easy serve espresso pod system. 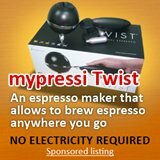 Twelve beverage producers have bought into the Tassimo disc concept and allow the owner of a Tassimo coffee machine the luxury of choosing from a wide range of products which include coffees, teas and not chocolates. 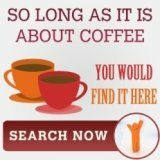 There are four different types of espressos to choose from, five different cappuccinos and at least five different lattes are available as Tassimo discs. Six different types of tea together with twenty five different coffee types, including some of the leading brands in the world of coffee, means that there are more than forty five different Tassimo discs products to choose from. This is a satisfying amount of variety. There are other types of easy serve espresso concepts which offer a numerically larger range of pods to choose from. Whilst that might be impressive the question has to be asked whether it is practical. Can one really appreciate the selection on offer if it so large that one looses track of who is offering what. The Tassimo system caters for all tastes and is manageable. Some critics have said that a disadvantage in using the Tassimo disks is the need to clean the system if one wants to make a different beverage. I simply do not understand why this is a bad thing. Surely if one wants to change the type of beverage being made using the Tassimo pods then one must make sure that the previous beverage does not taint the flavor of the new beverage. The only way to make sure of this is to perform some rudimentary cleaning. 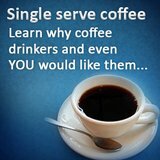 There is no system using easy serve espresso single serve cartridges that does not require any maintenance and cleaning. This is especially true if you want to swap between different beverage types. The great thing about the Tassimo pod system is that the TA 1400 will dispense your beverage directly into your cup. 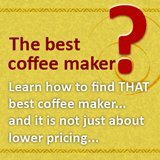 There are no carafes or jugs to clean and the beverage is that much hotter if it is dispensed directly into your favorite mug or cup. The machine itself is aesthetically well designed and will fit into any kitchen décor concept.